An IDF combat helicopter attacked a Hamas position in the southern Gaza Strip, the Israeli army said Saturday. According to the IDF, the strike was carried out in response to an earlier rocket launch from the Strip at Israel. The rocket fired Friday was the first such incident in over one month, the IDF Spokesperson’s Office said. The Red Alert alarm warning system was not activated as the projectile landed in an open area, the spokesperson added. No injuries or damage were reported. Earlier Friday, a Palestinian was reported killed as thousands took part in protests along the border with the Gaza Strip, amid threats by terror factions in the coastal enclave to ramp up violence with Israel. An Israeli army spokesperson said some 4,000 Palestinians took part in the riots, throwing rocks and explosive devices at soldiers. The explosives did not reach the border fence where troops were deployed. Israeli forces responded with riot dispersal means, including live fire, the spokesperson said. Also Friday, a suspected incendiary device landed near a kindergarten in a Gaza-area community, after a lull of several weeks for the airborne arson attempts from the coastal enclave. Gaza protesters have launched hundreds of incendiary kites and balloons into Israel, sparking fires that have destroyed forests, burned crops, and killed livestock. Over 7,000 acres of land have been burned, causing millions of shekels in damages, according to Israeli officials. 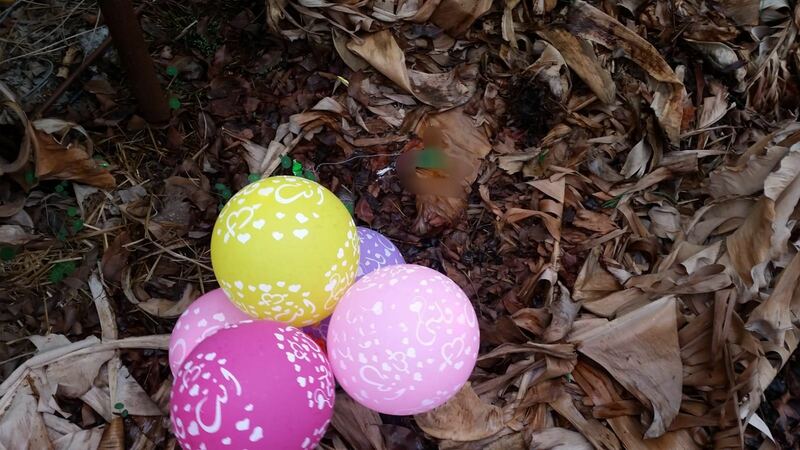 Some balloons have carried improvised explosive devices. Last week, Prime Minister Benjamin Netanyahu said he had issued a warning to the rulers of the Strip, amid a spike in terror attacks in the West Bank. “I conveyed a clear message to Hamas — we won’t accept a situation of a truce in Gaza and terror in Judea and Samaria,” he told a cabinet meeting, using the biblical name for the West Bank. 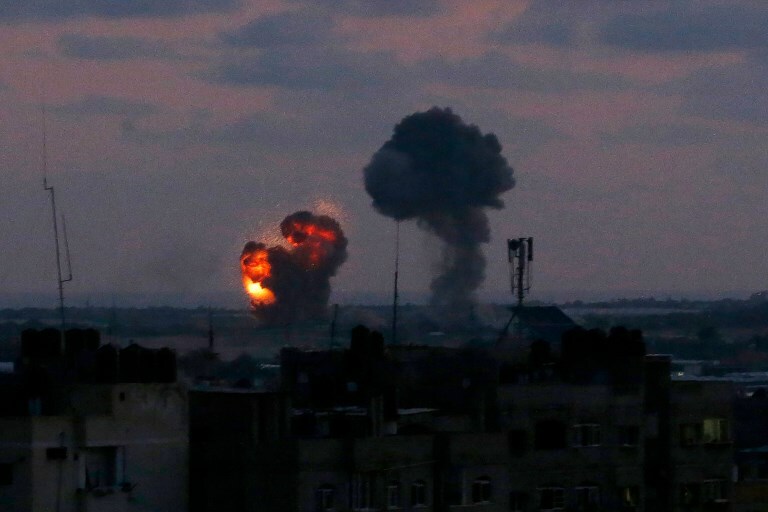 Friday’s rocket fire came more than six weeks after Hamas and Palestinian terror groups in Gaza engaged in the heaviest battle with Israel since the 2014 war. After an Israeli special forces operation in Gaza was exposed, and an Israeli soldier and seven Hamas gunmen were killed in the ensuing firefight, some 500 rockets and mortar shells were fired at southern Israel over the course of November 12-13 — more than twice the rate at which they were launched during the 2014 conflict. The Iron Dome missile defense system intercepted over 100 of them. Most of the rest landed in open fields, but dozens landed inside Israeli cities and towns, killing one person, injuring dozens and causing significant property damage. The fighting ended on Tuesday, November 13, after a Hamas-announced ceasefire took effect, though this was not officially confirmed by Israel. Defense minister Avigdor Liberman resigned in protest at the ceasefire, having pushed for a harsher Israeli response to the Hamas rocket attacks, reducing Netanyahu’s governing coalition to just 61 of the 120 Knesset seats — a move that helped trigger the dissolution of the Knesset on Wednesday, with elections now set for April 9. Education Minister Naftali Bennett threatened to quit and bolt the coalition with his Jewish Home party if he was not appointed to replace Liberman, but he subsequently withdrew his ultimatum. Since March, Palestinians have been holding weekly protests on the border that Israel has accused Hamas of using as a cover for attacks on troops and attempts to breach the security fence. Israel has demanded an end to the violent demonstrations along the border in any ceasefire agreement. Hamas, an Islamist terror group that seized control of Gaza in 2007 from the Fatah faction of Palestinian Authority President Mahmoud Abbas, openly seeks to destroy Israel. This entry was posted on December 29, 2018 at 6:19 AM and is filed under Uncategorized. You can subscribe via RSS 2.0 feed to this post's comments. You can skip to the end and leave a response. Pinging is currently not allowed.